Wow that's pretty exciting, Fredrik. I got the smaller kindle fire hd and I love it. Sketchbook pro is great. The problem is the fact that it works means I instantly wanted a bigger size tablet and a stylus. And that is the rub, the bigger kindle or other tablet will be nicer but I really envision wanting a screen 15+ inches. Building up a great skill at gesturing is huge for any artist. A lot of what make a drawing successful is directly related to the underlying structure of the object being rendered. Agreed 100% And you can do dozens of gestures quickly on one sheet of newsprint. The pen displays look wonderful and are exactly what I want (well maybe something a little more portable), but way to expensive. I'll have to look for that book as I feel I'm a bit stuck progressing. I started out simply following some simple drawings, generally with steps and quite enjoyed that. Started being able to draw things I never thought I could. Still I feel like doing that is progressing me as much as I'd like. So thanks everyone for the info. Dammit. Now I want one of those Yinova's. I had consigned myself to the fact that the Cintiq was just too expensive. Now this comes along. Thanks. I kid. But I do want one. It's called the Bosto Kingtee, costs more then the Yinova, and from the review I read a bit better. Watching people draw on tablets makes them so tempting, and makes me feel jealous of their skills. Still it's curious for me from a tech standpoint why these things are so expensive. With the rise of touch interfaces you think the price would be much lower. Not to mention that the really expensive touch screen interfaces are the ones you can use with your hands, which none of these are. I guess it's due to how niche it is. Fun stuff either way. It's a different technology with the touch screens on phones and tablets. Phones are capacitive screens and work by an electrostatic field across the display being interrupted by your finger. The wacom type screens have sensors that detect where the stylus is, and also what pressure, rotation, and angle the stylus is at. Basically what that means is they are cheaper to make, especially with all the mobile devices integrating them, but don't have the fine control that the wacom or the Yinova has. But yes, the technology should by all rights be much cheaper by now, since it's been around so damn long. 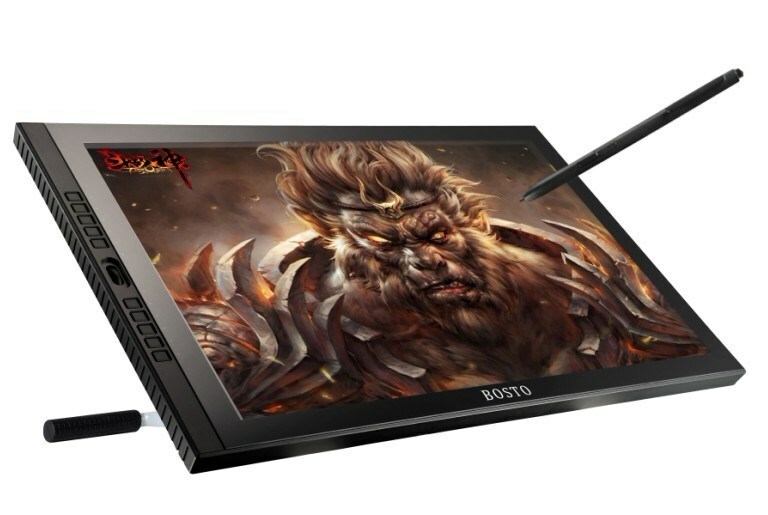 Hopefully Wacom feels some market pressure from these other brands and lowers their price point. Also, hopefully, the competition will bring some innovation with it as well. Oh, yeah... Rumor has it it that wacom has a tablet in the works for layer this year. You know... One that is portable and doesn't require you to hook it up to a PC. Wow, Cintiq was not an option. Now that yinova makes it almost an option. I'd just have to find a way to use it in my workflow for perhaps architectural renderings. I'm waiting for the Lenovo Helix to hit Canada. It's the balance of tablet, laptop, drawing tablet I've been waiting for. I am contemplating a windows tablet right now actually. It finally has full pressure sensitivity and runs Photoshop plus I can play steam games on it. Hooking dropbox up to it and it'd be like having my PC on the go. Met Tommy Castillo yesterday at a horror convention that me and some buddies just happened to come across. Very cool guy and he's working on a Dark Side of Oz project that looks friggin awesome. I was walking around and passed his stall, looked at the name and was like "That name is familiar. That artwork is familiar..." And started talking to his wife, then got to taking to him. He's got some very interesting stories. So I've been thinking about starting up a sketchbook blog. I've got my deviant art profile, but i don't know that it's really doing what i want. I really like things like the One Drawing A Day blog, and kind of want to do something similar. Though I know I won't be able to do one every day. Was also thinking it might be cool to do something with another artist as well. Have a group blog sort of thing. Take inspiration from each other, and keep each other honest and producing drawings. Anyone have experience with the current blog services? I know blogger is the big one, buy I also heard carbonmade is pretty good. Anyone else got suggestions? Anyone interested in participating in something like this? I've had a website, but haven't really done the blog thing. I'm generally pretty anti-social media, unless you count GWJ. Call it the WTF drawing club. Not my idea. I think there a local band bar that does this with live music. Actually this sounded like a better idea being Tuesday, Thursday, Weekend. More time in between. 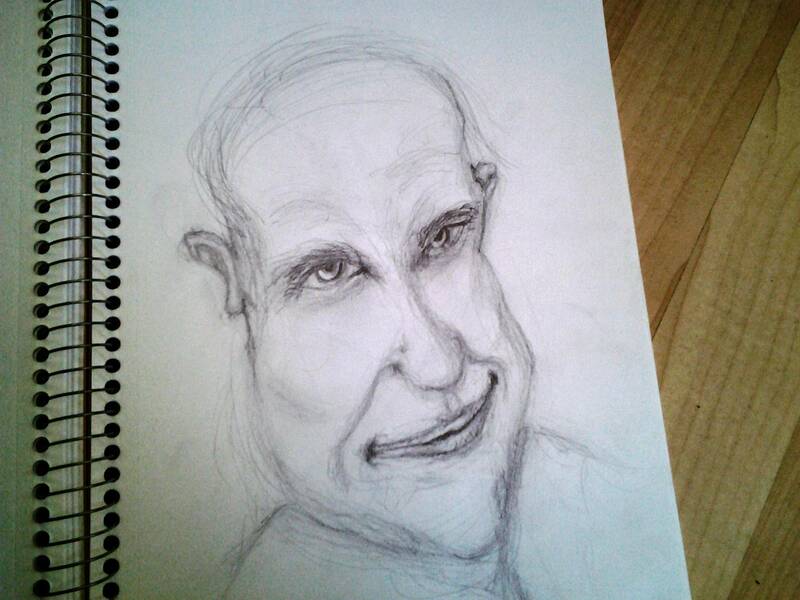 There are sketch-a-day threads all over art forums. Do you feel that this community will help you be better invested? Is it an open submission, self portrait, weekly theme? Actually, Penny Arcade had an artist doing crits on a thread like this. I saw it. Didn't participate, but found it after it had died. I do like the sound of WTF drawing, but Wednesday Thursday Friday if kind of an odd grouping. Though, maybe we could do Wednesday someone posts an article Thursday is posts about events, Friday everyone posts a drawing. Something like that. As far as this community, it's really the only forum I'm active in, so that's why i came here. I was on the penny-arcade art thread fir a while, but kinda felt lost there. I just feel more comfortable here. There were virus warning things going on. Were they infected with something and have been taken down? Wednesday, post a drawing from the previous week's topic. Thursday review comment share, perhaps chat in a voice application. Vent or some such. Share a technique, insight, or review of something you're using. Then play a game. Though It's still two consecutive days' commitment (and three for at least one person). Yeah, that sounds like a good idea. Though with people in different time zones, chat and game night might not work that well. It's a commitment to be sure. But if there were enough people involved not everybody would have to make every session. Especially me. I'm going to be in a situation where I'm going to post when I can, but there will be times where I won't be able to get to anything, possibly for a month or more. Which is why I wanted other people involved. So it would keep getting posts even if it's not me. I'm also an aspiring writer (because let's face it, if the whole art thing doesn't work out I'll need something more practical to fall back on. ;)) so I could probably do an article on something art related about once a month. But I should warn you that the quality of these articles wolud be about the same as my posts on this forum, though I'm always trying to improve. Sounds like a good way to practice your writing skills to me. And it would be writing about something you are genuinely interested in. Sounds really cool to me! Finished my first assignment for the Magic Box online class for digital painting. Learned some new ways of thinking about rendering light which was really cool. I can't recommend this course enough, especially for people with little time as it is "study at your own pace" and lasts for 18 months. The community seems very supportive and filled with excellent artists to learn from. Ugh, looking at both of those sites just makes me wish I had more free time. Or at least, I wish I could focus on a few things so I can get them done to be able to put other things on my plate. It's been 3 years since I started this thread! awesome improvements! love the ogre. Ditto. That's very nice work. Lookin' great man. Huge improvements in a relatively short amount of time. Well done. And this is why I keep all my sketch books. You get to go back and see where you were, and see how far you've come. Jeff-66, your Ogre puts some of my latest art to shame. However, a quick sketch+ink in Manga Studio tonight has me really feeling...I dunno. Strange? I often feel like my artwork isn't really all that up-to-snuff and my skills got so rusty during College, but when I look at a lot of my finished work lately I can't help but swell a bit with pride. I'm thinking I really ought to shove my comic-work and art into a much more regular part of my hobby rotation than it has been the past several years. Interesting thing, seems that when you export artwork from Manga Studio into PSD format, it doesn't retain all the sketch information. Certain pressure sensitivities or whatnot seem to get lost. As a result, the sketch looks like it is missing data. Doesn't seem to be the case with line art/ink, though. I might get to work on a t-shirt idea soon. I'm also considering experimenting with going greyscale. With the comic I'm working on, I've shifted over to doing the backgrounds in Manga Studio with "ink" to save time, but coloring is still time consuming. That said, I don't think greyscale would really save all that much time either.